Most people agree CrossFit is a killer workout — all of those one-legged squats and box jumps elevate the heart rate and build serious muscle. But can the popular weightlifting-based workout, which is so often associated with bulking up, also help you lose weight? Mike Molloy, Ph.D., owner of M2 Performance Nutrition, says absolutely! "There are many people out there who have experienced significant weight loss by using the general five-days-a-week template with CrossFit," he says. CrossFit WODs (that's CrossFit speak for 'workout of the day') set you up to burn calories, and there aren't necessarily any modifications or tweaks you need to make if weight loss is your goal, Molloy says. 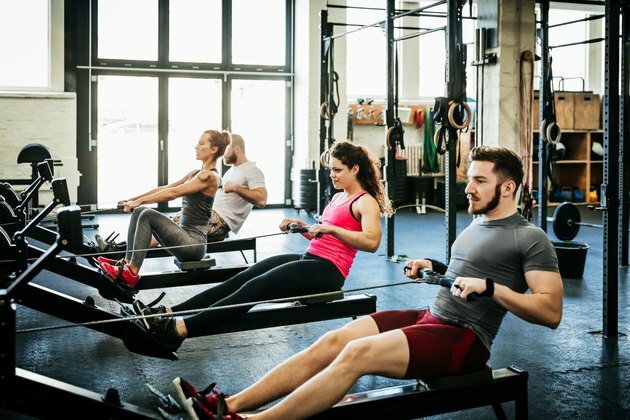 "The CrossFit structure of a mixed variety of strength training, aerobic pieces and high-intensity interval training is actually a really good mix for your average person who's looking to lose weight and lean out," he says. A 2019 study published in Applied Physiology, Nutrition, and Metabolism found that CrossFitters burn a significant amount of calories — about 2,700 calories per week over about 5 hours and 15 minutes of exercise. The researchers said that amount of calorie burn should result in meaningful weight loss among overweight or obese populations. Tom Baker, manager of CrossFit Sanitas and active member of the CrossFit community, says the calorie burn doesn't stop there. "Although steady-state cardio — long runs, for example — burn more calories during the activity itself, the process stops when you stop, while weightlifting triggers a recovery response in your body that allows it to continue to burn calories long after the work is completed," he says. Even so, Molloy warns not to take too-narrow a view of progress. "Leaning out and losing weight are not necessarily the same thing," he says. CrossFit is an effective way to lose body fat — a 2013 study published in The Journal of Strength and Conditioning Research found 10 weeks of CrossFit decreased body fat by an average of 15.5 percent when comparing pre-training and post-training levels. As a result, you'll likely achieve a slimmer overall physique, even if the scale doesn't budge. Molloy recommends referencing measurements, before-and-after photos or even informal assessments of how your clothes fit to measure progress instead of living by the numbers on the scale. When weight loss is the goal, you have to pay close attention to the foods and drinks you're putting into your body. "You can train however much you want, but if your diet is generally junk, you're not going to make the kind of progress you want to make," Molloy says. "Finding the right nutritional balance is extremely important." 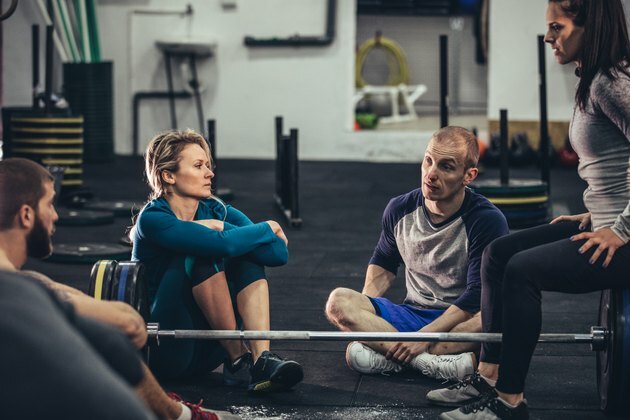 Even CrossFit's official website notes, "You cannot out-exercise a bad diet," and stresses the importance of optimizing your nutrition and exercising regularly in order to reap the full benefits of CrossFit. "There's no fitness program that can override a poor diet — and CrossFit is no different," Baker says. "Without a proper approach toward your nutrition, all of this is meaningless." So what does is a proper approach toward nutrition? CrossFit calls for filling up on meat, vegetables, nuts and seeds. You can eat some fruit, but you should limit your starch intake and eliminate sugar altogether. You'll want to eat enough calories that you feel fueled for exercise, but not so much that your body stores the excess as fat, which can lead to weight gain. You may have heard that CrossFit and the Paleo diet are closely intertwined. Tons of CrossFitters go Paleo, but CrossFit headquarters has never publicly supported the diet, which promotes eating how your ancestors did and focusing on most of your diet coming from things you can find in nature, Molloy says. Instead, CrossFit recommends following the inflammation-fighting Zone Diet for at least the first four weeks. 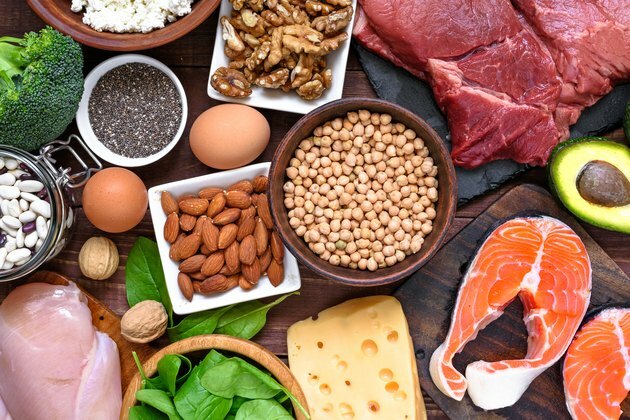 The diet consists of protein (eggs, chicken, lean beef and fish, for instance) making up one-third of your plate, and carbohydrates from fruit and vegetables (excluding sugary fruits and starchy vegetables) filling up the other two-thirds. A limited amount of monounsaturated fat (found in olive oil, almonds, and avocado) is also allowed. The Zone Diet breaks meals into blocks, which Molloy says is essentially a simplified way of tracking macros. "Based on how much activity you're doing, you get a certain number of calories per day and those calories are broken down into blocks," he says. "These blocks are basically designed to generate [a diet filled with] 30 percent protein, 30 percent fat and 40 percent carbohydrates." Many have found success with this approach to eating. A 2017 review published in Nutrients found overweight people lost between 3.4 and 7.4 percent of their body weight after following the Zone Diet for six months. The official CrossFit stance is to track your food intake and performance during the first four weeks. You can then tweak the diet — adding a cheat day or upping your fat intake, for instance — to see what works best for you. Molloy says in addition to tracking blocks, there's a growing movement in the CrossFit community centered on avoiding refined carbohydrates as well. "It comes down to high-quality food being the main aspect of your nutrition program," he says. Another main aspect of weight loss: achieving a calorie deficit that's manageable for the long run. Molloy says a deficit of somewhere in the 300 to 400 calorie range for the average man or woman will allow for sustainable weight loss. For better or worse, there's more to weight loss than adjusting your diet and exercise routine. "You need to make sure this is a full lifestyle change," Molloy says. "You need to exercise, you need to put yourself in a situation where you understand the food that's going into your body and you need to set your sleep and stress cycles up such that your whole body is a great healthy place." Reaching and maintaining a healthy body weight means living a healthy lifestyle all day long — not just when you're in the gym or sitting down for a meal. Knocking out an hour-long WOD in the morning, for example, doesn't mean it's a good idea to spend the next eight consecutive hours sitting at a desk. Weave activity in wherever you can — a five-minute walk here, a quick stretching session there — to see the best results. "It's important to recognize that the desire to change body composition can't just be a one-hour-a-day thing," Molloy says. "You need to be conscious of it throughout your day." How Many Calories Can You Burn During the Insanity Workout?